Conversations with History from UC Berkeley. Noam Chomsky, Wole Soyinka and Christopher Hitchens are some of the big names that have been interviewed. 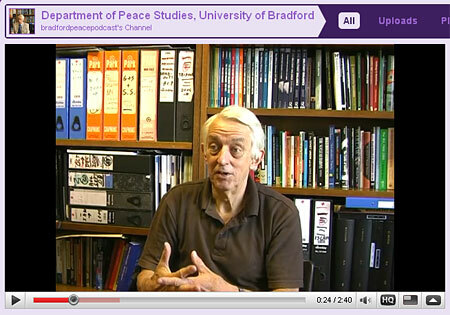 Bradford Peace Podcast from the Department of Peace Studies at the University of Bradford. Dr Paul Rogers, a columnist for ISN Security Watch republishing partner Open Democracy, is a frequent guest. Al Jazeera English. Mostly short bulletins. The Heritage Foundation: Bill Kristol’s commentary on the negative backlash against the US administration’s health care plan makes for interesting viewing. Last but not least, the UK Foreign Office has also staked its claim on YouTube. Maybe it’s that Beoduin-style tent he likes to pitch in the most interesting places, or maybe his fashion sense, but Colonel Muammar Gaddhafi has made it his task to keep himself and his country in the international spotlight. 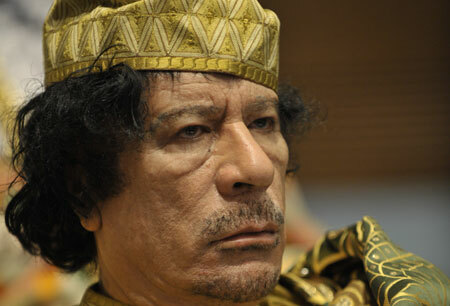 But what may not be apparent is Libya’s importance in the geopolitical sphere – our theme for this week. Parag Khanna of the New America Foundation gives his views on Libya’s position on the regional and global scale in the latest edition of ISN Podcasts. You can find Gaddafhi’s Green Book in our Primary Resources. The Constitution of Libya is also available there. We’re highlighting The North Africa Journal in our Links section. And don’t forget that you can follow us on Twitter and join our Facebook fan page. 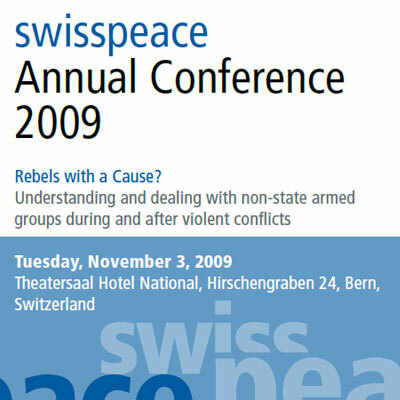 The Swiss NGO has invited some high-level speakers that have field experience in negotiation with non-state actors, such as the Centre for Humanitarian Dialogue, and our partner Small Arms Survey. For more information on non-state actors, you can check the ISN keyword on our website that contains a lot of publications. Then on the following Thursday, I will attend the annual conference of UNO-Academia on “Collective Security and Maintenance of International Peace and Security: What are the Stakes?”. UNO-Academia is a network between all the Swiss universities that gathers research on UN-related topics. According to the program, academics will be joined by policymakers to develop a comprehensive approach on the above mentioned question. For a short summary of the concept of “Collective Security”, you can check out this story from ISN Security Watch partner World Affairs Journal by Peter Beinart. The conference will be preceded by a roundtable discussion in which I have been invited to speak: “Youth Meets the United Nations: Which Role for Youth in the United Nations?”. Of course, I’ll update you next week with the outcomes of these conferences. If it happens that you are also taking part in the same conferences, it would be a pleasure to meet you there. Researchers from the ISN-supported expert community on crisis and risk have just published a new policy paper. According to Myriam Dunn Cavelty and Jonas Hagmann, the concept of risk communication has so far been applied almost exclusively in the context of technical and environmental risks. They show how the concept can be useful for foreign and security policy, too.